How can we expect someone to care about nature if they've had no personal experience with it? Endangered species, critical habitats, biodiversity — though we deal with these concepts every day at the Nature Conservancy of Canada (NCC), they are abstract, intangible and foreign to many. In our fast-paced, urbanized world, exposure to nature is decreasing and people are less connected to their surroundings. As a result, we are far less likely to make informed, sustainable choices and understand the full extent of our impacts on the environment. It all comes back to giving people the opportunity to learn and connect with nature by experiencing it first-hand. Through our Conservation Volunteers program we are continually looking for new ways to engage people in our work and provide meaningful, educational (and fun!) experiences in nature. In my three years as coordinator for the program in Alberta, I have witnessed the positive effects of education and engagement. The use of technology as an engagement tool was a hot topic, especially the use of mobile apps. The California Academy of Sciences is currently using the popular iNaturalist app to engage people in documenting California’s biodiversity through photos. Not only is this initiative increasing environmental literacy among the public, it is also furthering biodiversity research. Similarly, professional and amateur birders are using the iBird app to document their sightings and learn more about the various species they encounter. Both apps harness the power of community. They provide a platform where people can share knowledge and connect with other nature lovers around the world. . . 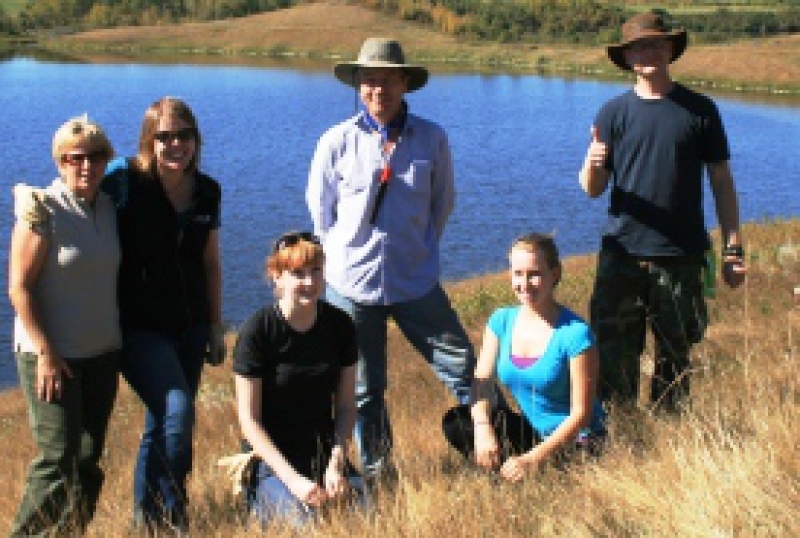 The Nature Conservancy (U.S.) provides paid four- week summer internships for high school students every year through its LEAF program (Leaders in Environmental Action for the Future). By targeting urban youth from populations that are less engaged in conservation, the program seeks to empower future conservation leaders in the areas where they are needed most. The Cornell Lab of Ornithology’s Celebrate Urban Birds is another program that’s successfully engaging new audiences in nature and citizen science. By focusing on birds (a familiar species that can be spotted in cities), the program empowers urban underserved communities to collect and track observations of 16 focal species and contribute to ornithological research. They accomplish this by educating people about the birds in their backyard and offering communities mini-grants to organize and participate in greening efforts — efforts that result in even more habitats for urban birds! It’s a powerful model that incorporates community, arts and the environment. . . .